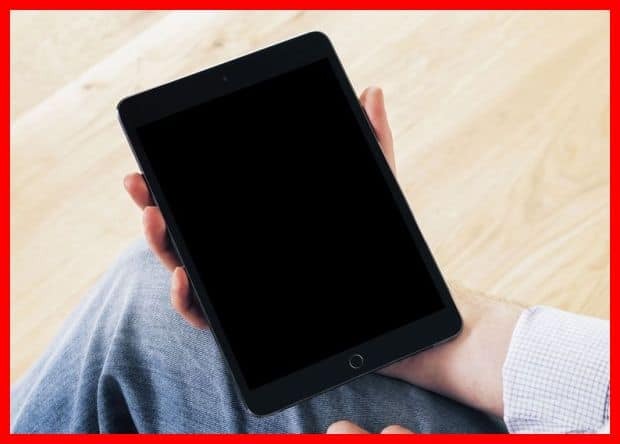 Valuable Advice If Your iPad Will Not Turn On – This has most probably happened to everyone, everywhere at some point in time: You press the POWER button on your iPad only for nothing to happen, ipad screen goes black. It does not turn on, no lights, no sound, and no Apple logo. If your iPad will not turn on no matter what or how many buttons you press, you might start thinking that it is broken and that you need to replace it. However, do not panic. Usually, this can actually be resolved very easily. There are a number of reasons as to why your iPad will not turn on. One reason behind why your iPad won’t turn on is probably because the battery has already run out of life. Another reason behind this problem is probably your iOS system has crashed and has to be rebooted. On rare occasions, another reason why your iPad will not turn on is probably due to corrupted firmware.However you should not immediately jump into this drastic conclusion. Instead, make sure that your problem is not due to the first problems presented. In order to fix the power issues of your iPad, here are some simple tips you can follow. 1. Unless you are completely sure that there is still plenty of charge left on your battery, connect your iPad to a charger and plug it in. Leave it charging for at least fifteen minutes. If your iPad did not turn on simply because of a low battery problem, then doing this will solve your problem. Your iPad will also turn on by itself and it will display the battery charging icon. However, if this still does not work, proceed to step two. 2. Press the POWER (SLEEP) and HOME button both at the same time. The Apple logo should show up within ten to twenty seconds. After the Apple logo appears, release both the POWER and HOME button and wait for at least one minute. Your iPad should turn on and it should start functioning again. 3. Note that before step two, you may need to sometimes toggle the Mute button a couple of times. There is no definite explanation as to why you should do this, but majority of iPad users guarantee that it works. They say that it helps at the times when pressing the POWER and HOME button does not work. If nothing absolutely happens even after you accomplish step 3, your iPad could be broken. Or it could be that the cable you are using is defective or maybe the charger itself is faulty. You might want to try using a different charger or cable in order to see if it really is the problem. If your iPad started charging and turned on after you used a new charger or cable, then you should replace your old charger. However, if using a different charger still does not turn your iPad on, you should ask professional assistance. Visit your local Apple store and do not hesitate to ask them for help.